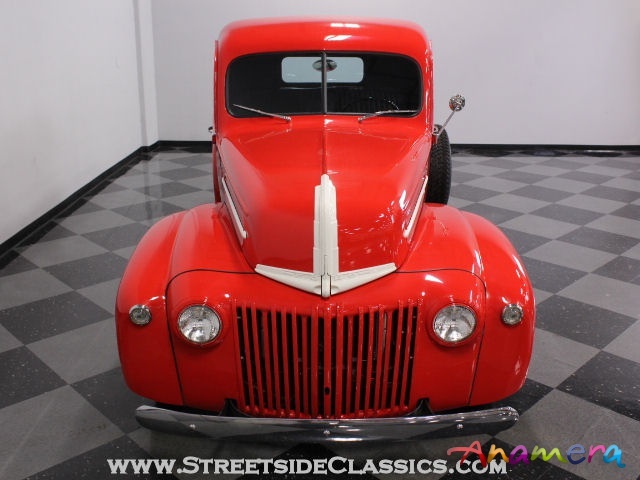 Yes, you're reading that correctly, this is an ultra-rare 1945 Ford pickup truck. 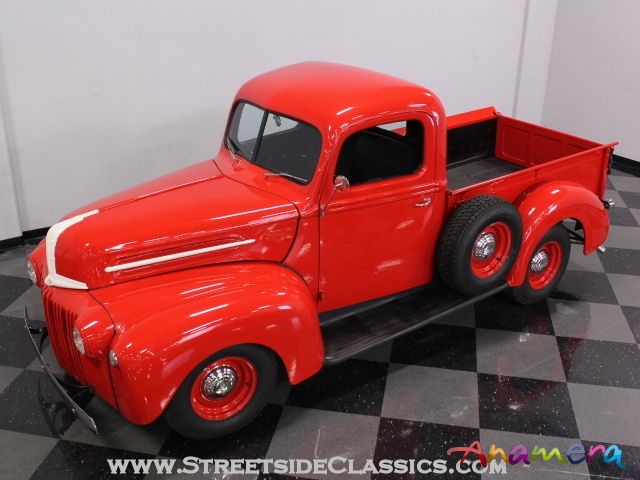 Most folks think no civilian vehicle production happened during the war, but business had to continue and trucks made the business world move, so they were available on a very limited basis. 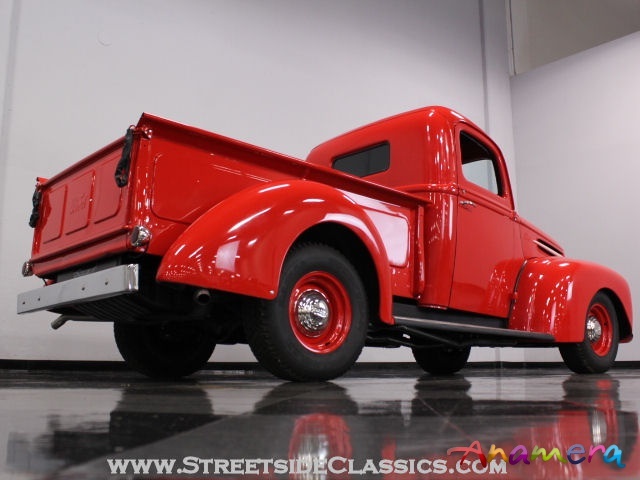 So this wonderful 1945 Ford combines a really interesting story with a thoroughly updated driveline to make a fascinating, fun hauler. 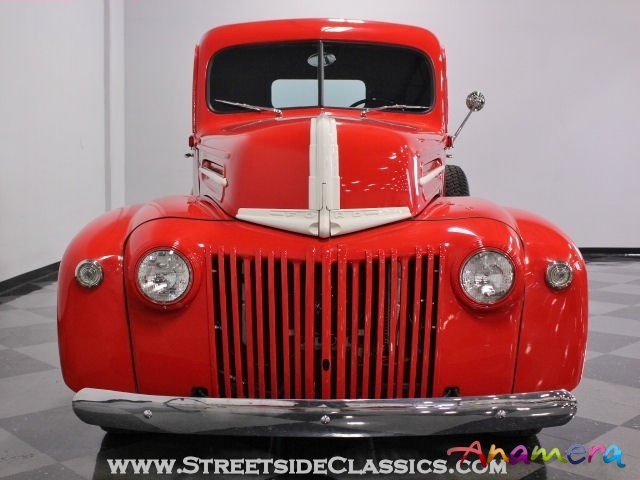 Old trucks wear bright red better than any other vehicles, and this 1945 Ford shows off its wartime DNA with pride. 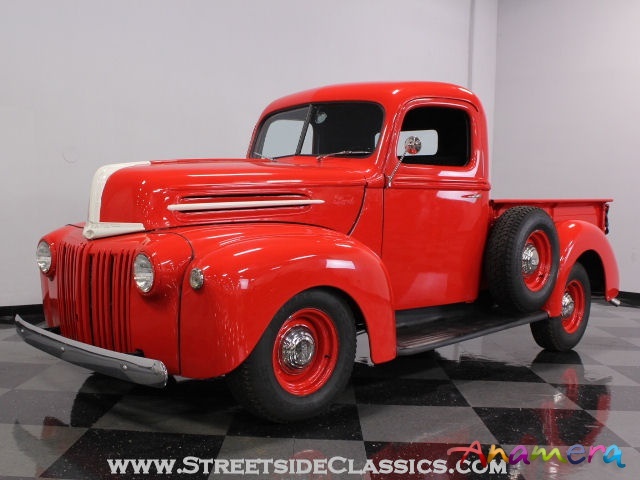 You'll note the limited use of chrome, which was almost completely unavailable during that time, but otherwise it has a look that should be familiar to Ford fans. It's nicely refinished, having been completely disassembled and stripped to bare metal for the fresh red paint. It's all steel and the goal was to make it look fairly stock on the outside while hiding the upgrades underneath. 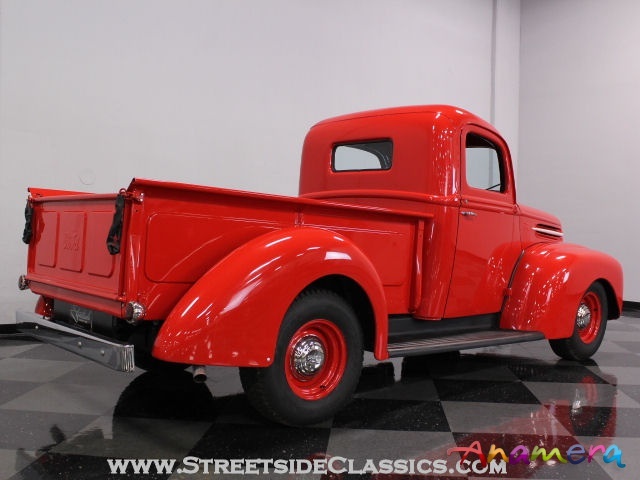 So it has basic steel running boards, simple trim painted contrasting off-white, and a painted grille that still looks handsome after all these years. 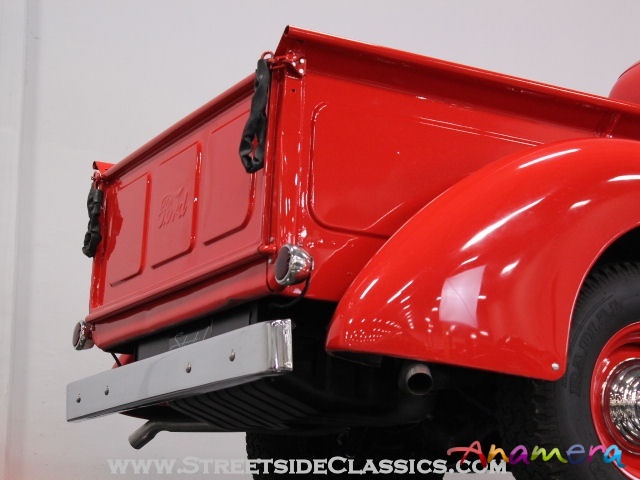 All the glass and rubber was replaced, so the truck feels tight going down the road and doesn't have those annoying wind whistles that old vehicles always get, and the bed is still totally usable thanks to a spray-in bedliner. 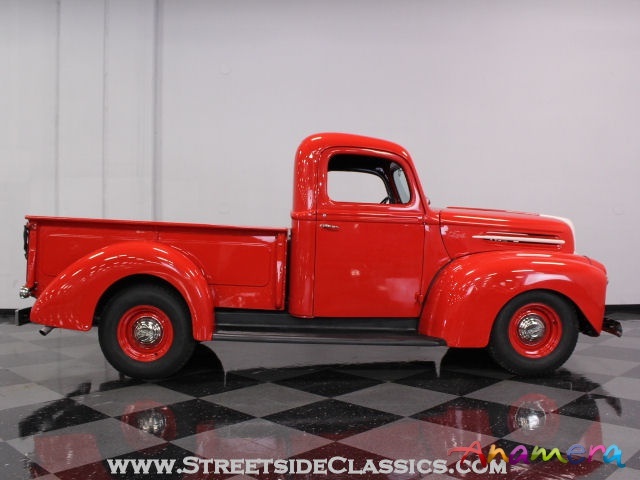 The only real tipoffs that this is not a stock truck are the fat radials and two exhaust pipes peeking out under the rear fenders. Cool! Simple and plain was the order inside, too, where the truck's good old-fashioned working class roots were retained and merely enhanced rather than completely erased. 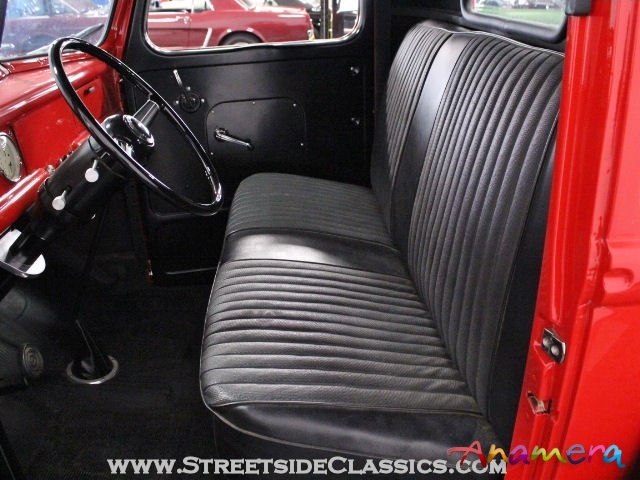 The front seat appears to be the original bench, now reupholstered in attractive pleated black vinyl and the floors have a new rubber mat that looks right. The door panels are steel, as they were in 1945, but instead of being body color (which might have been too much red) they were tastefully done in satin black to keep it looking sedate. 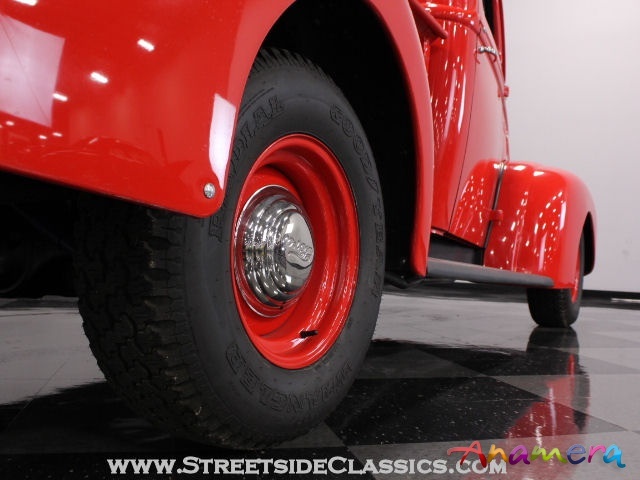 An aftermarket A/C system was cleverly installed under the dash and remains quite effective, and for comfort, there's a tilt steering column topped by the original wheel. Dolphin gauges replace the original instrument panel, but they keep a vintage vibe going that works well in this pickup. There is no radio, which is how this one came from the factory, but everything else works as intended to make it a pleasure to drive. For power, there's a strong-running 351 cubic inch "Windsor" V8 under the hood. Lots of torque and a great V8 soundtrack are big selling points on this engine, which makes the pickup feel quick around town but cruises easily thanks to a C6 3-speed automatic transmission and a Lincoln Versailles 9-inch rear with 3.25 gears inside. 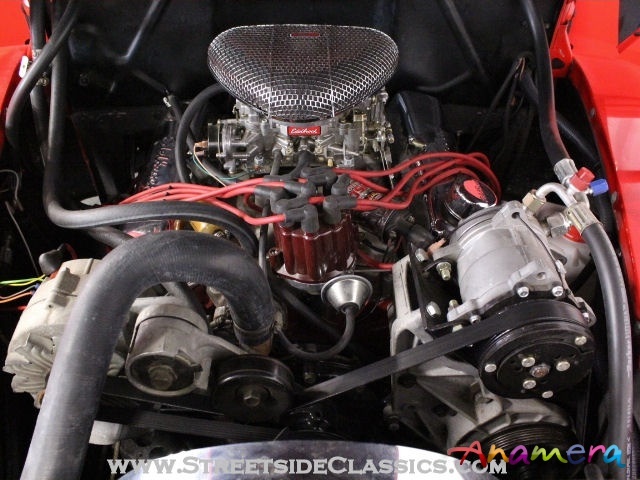 The engine was freshly rebuilt with all new parts inside and then fitted with the accessory drive system from a 5.0 Mustang, so it offers factory-style reliability. 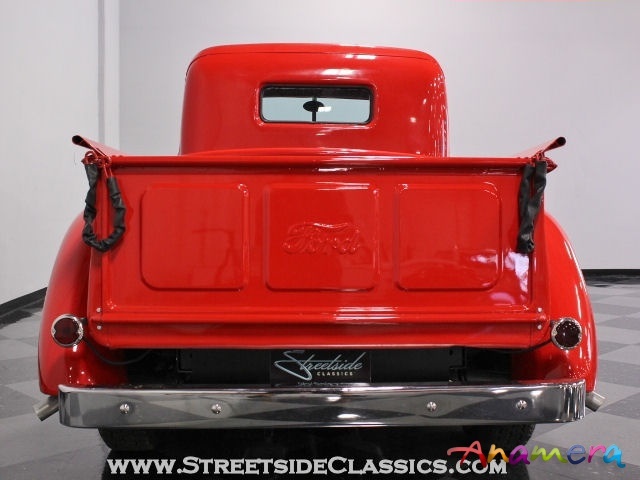 There's an Edelbrock 4-barrel carburetor, camshaft, intake manifold, and air cleaner, a new aluminum radiator up front, and a custom dual exhaust system underneath. 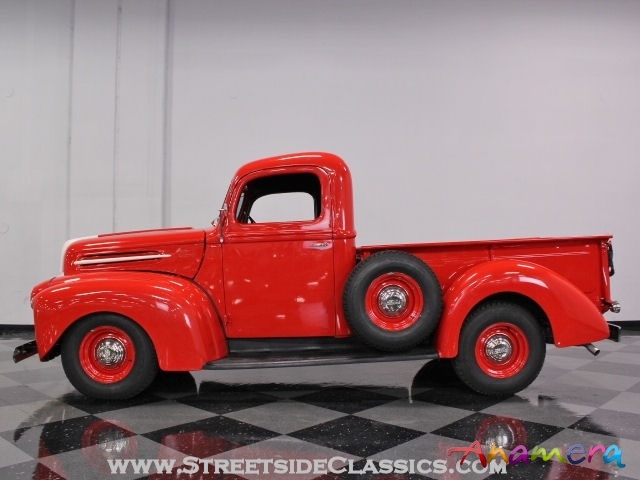 A Fatman Fabrication independent front end makes it track like a car and 4-wheel disc brakes are a welcome improvement on something that generates speed as well as this truck does. 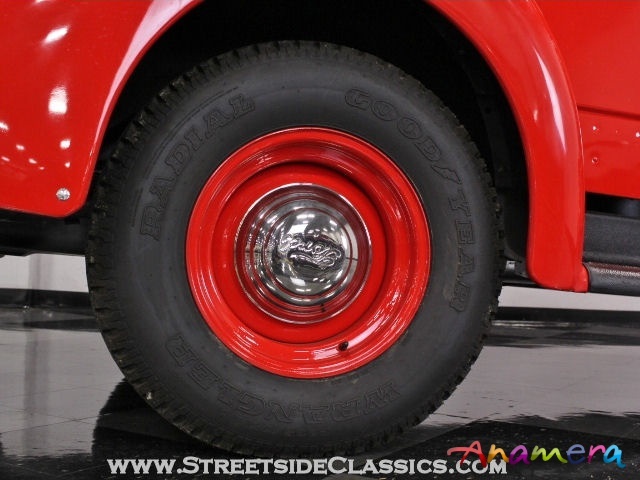 Custom WheelSmith steelies provide the perfect look and wear fat 235/75/15 Goodyear radials all around. 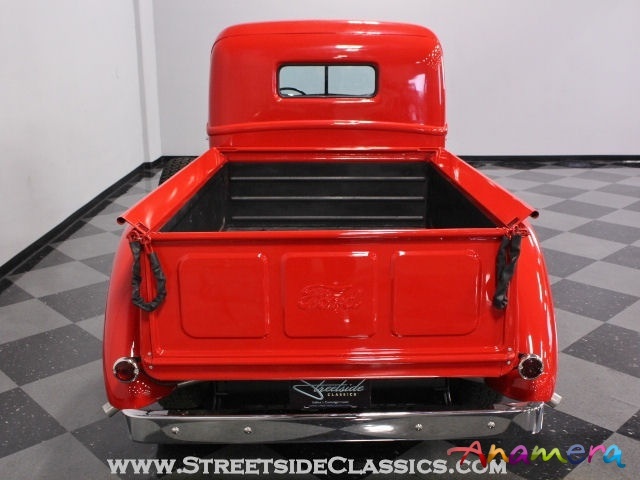 Beautifully built and with a great story to tell, this clean early Ford pickup is bright red fun in a practical package. Call today!